Originally scheduled to arrive during December 2004, this container seemed to run into problem after problem. 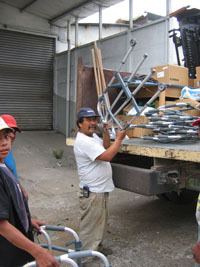 The Guatemala Customs office decided to close for the month of December so the shipment was delayed nearly two months. We finally shipped the container in January and it arrived in mid-February only to be held up in customs and to be assessed thousands of extra custom fees. 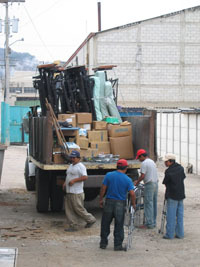 The container finally was distributed the week after Easter to the delight of the clinics, hospitals and other recipients.